There’s a reason computers, cell phones, and even basic remote controls come with instructions: We need to learn how to use them. 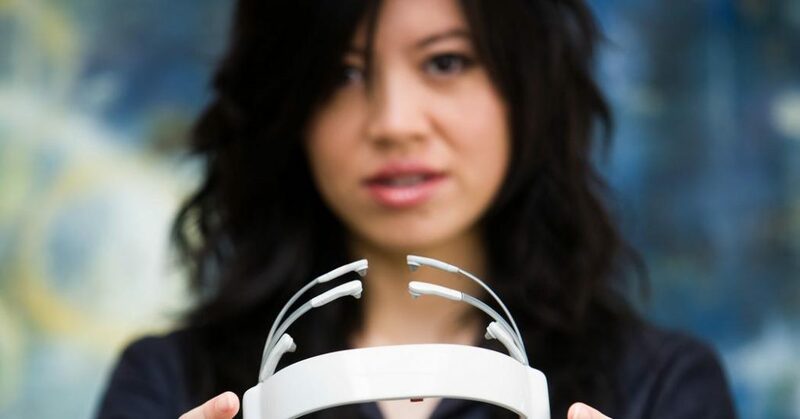 “But imagine a device,” says Tan Le, founder and president of Emotiv Systems, an electronics company focused on brain-computer interfaces, “that learns how to use you.” In December, Le unveiled the company’s first commercial device, the EPOC headset, which plugs into a USB port and makes it possible for specially designed computer apps to be controlled and influenced by the player’s mind and facial expressions. “It senses your neurons firing,” Le explains, “and, over time, it starts sensing your intent — whether you want to move forward or backward, or jump up and down.” Though the headset is being buzzed about primarily as a gaming interface, Le also points out that similar tech is being used to control electronic wheelchairs and prostheses, and could be an early step toward a host of devices — lights, TVs, billboards — that respond to our mental commands.